I LOVE music and Christmas music is so special to me. It reminds me of all the lovely Christmas' that have past. I have a few albums that always remind me of the holiday season and I cannot wait to share them with you! 3. The Nutcracker - As far back as I can remember my Nana was taking me to the Nutcracker ballet. I owe her for my love of ballet and am so happy I am able to practice it now after all these years. Lil factoid, I was IN The Nutcracker at my ballet studio a couple years back and it was such a full circle experience! 4. A Very Special Christmas 1987 - The other album that reminds me of Christmas' past. Besides Lee Greenwood, this was the other one spinning in our home! Does this one date me much?! 5. A Very She & Him Christmas - The Music Maven bought me this one a few years back and I LOVE it. My favorite type of Christmas music is the older sounding stuff and this has that exact sound. Honorable mention to Mariah Carey's Christmas album. LOVE that one so much too! Ok also Beach Boys Christmas and the Bing record I JUST got for only .99 cents! I LOVE MUSIC!! Share your links below and don't forget to tweet me! Nice! I like She & Him a LOT! And I love the Bing and Bowie song too! uggh vinyls are so much better for Christmas! everyone is loving She & Him..guess I should get on that train! 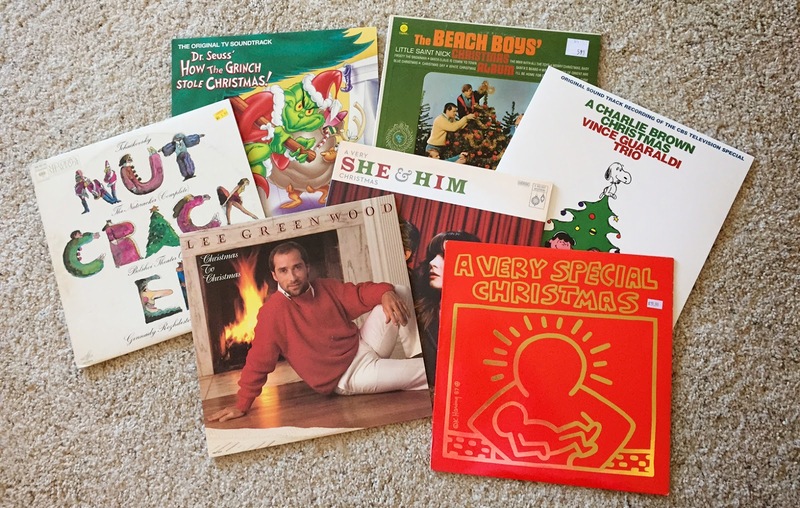 My dad had that Very Special Christmas on vinyl! I remember listening to everything on a record player when I was little. I remember the first ever CD player we had was selling for like $500 dollars, but my dad won it at a raffle, and we had it for months before we even used it lol. Now that's how you know you're old! That first Very Special Christmas album is one of my all time favorites! Love the Beach Boys one too. Because the rest of your list is fabulous, I'm forgiving you the Mariah Carey entry ;P Please tell me all of those albums in the picture are on vinyl? That is pretty epic! I've loved what I've heard from the She & Him album; must get it sometime! My picks are all just what I've been listening to lately - Pentatonix's Christmas albums! Are those vinyls?! I'm oozing with jealousy. Radioactive Return of the Ooze style ooze. Now that you know that unfortunate fact about me, um, hi, I'm a new fan of your blog. 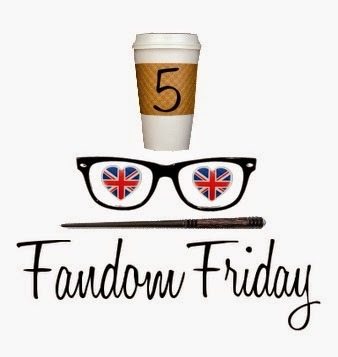 I just posted my first Five Fandom Friday today and hope to write more! I think I'm gonna check out She and Him. They are on everyone's list! And vinyl! Love the photo! My mom had A Very Special Christmas 1987 on vinyl for home & cassette for the car. It went on loop from the time Thanksgiving dishes were cleaned up until New Years day in our house for as long as I can remember! I'm not much into christmas music (anymore) but there are a few songs that remind me of my childhood. I love the nutcracker! Every christmas they send a cartoon version here with mice its amazing!